These two galaxy clusters are part of the "Frontier Fields" project that obtains long observations with multiple telescopes. Galaxy clusters are important because they are the largest structures in the Universe held together by gravity. Both of these objects are sites where multiple galaxy clusters are colliding. 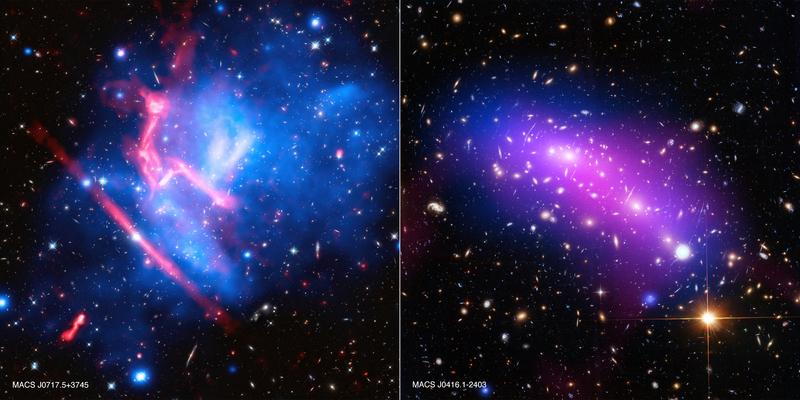 X-rays from Chandra reveal the massive amounts of hot gas that pervade each galaxy cluster. Galaxy clusters are enormous collections of hundreds or even thousands of galaxies and vast reservoirs of hot gas embedded in massive clouds of dark matter, invisible material that does not emit or absorb light but can be detected through its gravitational effects. These cosmic giants are not merely novelties of size or girth - rather they represent pathways to understanding how our entire universe evolved in the past and where it may be heading in the future. To learn more about clusters, including how they grow via collisions, astronomers have used some of the world's most powerful telescopes, looking at different types of light. They have focused long observations with these telescopes on a half dozen galaxy clusters. The name for this galaxy cluster project is the "Frontier Fields". These new images of MACS J0416 and MACS J0717 contain data from three different telescopes: NASA's Chandra X-ray Observatory (diffuse emission in blue), Hubble Space Telescope (red, green, and blue), and the NSF's Jansky Very Large Array (diffuse emission in pink). Where the X-ray and radio emission overlap the image appears purple. 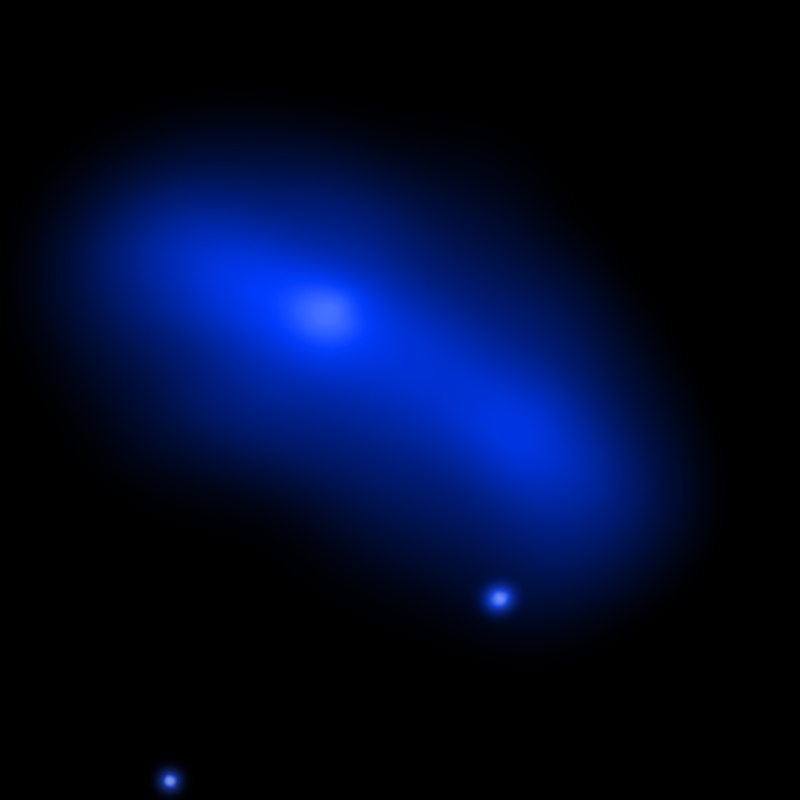 Astronomers also used data from the Giant Metrewave Radio Telescope in India in studying the properties of MACS J0416. One would like to "dive" into such images.